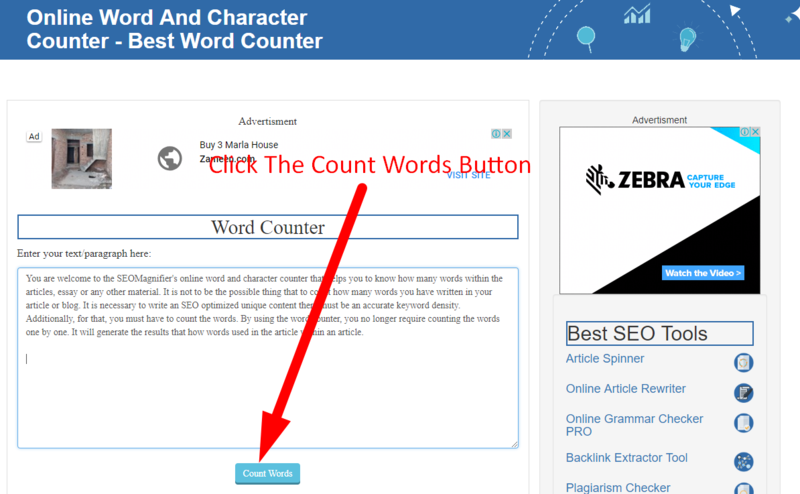 You are welcome to the SEOMagnifier's online word and character counter that helps you to know how many words within the articles, essay or any other material. It is not to be the possible thing that to count how many words you have written in your article or blog. It is necessary to write an SEO optimized unique content there must be an accurate keyword density. Additionally, for that, you must have to count the words. By using the word counter, you no longer require counting the words one by one. It will generate the results that how words used in the article within an article. How does SEOMAGNIFIER's online word counter tool work? One of the most excellent things about using our free word calculator is that it helps you to check the accurate number of word count and that does all the work automatically. Every article that is published on the internet has got a convinced word limit. If you exceeded this limit then the entire content may become monotonous to read. There are lots of websites on the internet which have set a specific word limit. Being a professional writer, it becomes more and more important to adhere to this word limit so that your content gets accepted by websites and is posted easily. Manual word counting can prove to be the boring job in the world. Therefore, there are several free word counter tools that are easily available on the internet. Why use the free internet word counter? SEO MAGNIFIER Team developed this wonderful character counter and the main feature of the tool is completely free forever. 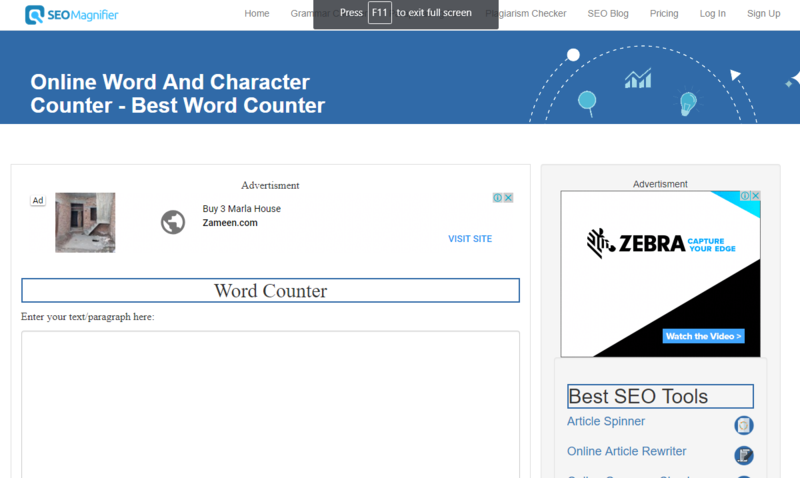 If you are a writer or SEO expert and want to know the exact word limit of your content then you just need to copy and paste your content into this word counter box and hit on the count words option. The result will display in front of you within few seconds. The best thing is that you can use our free online word count tool on your system screen or mobile phone screen and expect perfect results. Another most excellent part of the words counter is that of the result shown by this tool it consists of characters as well as words. If you desire to check the exact character or words limit at the time of creating Meta tag, descriptions or tweets for Twitter. 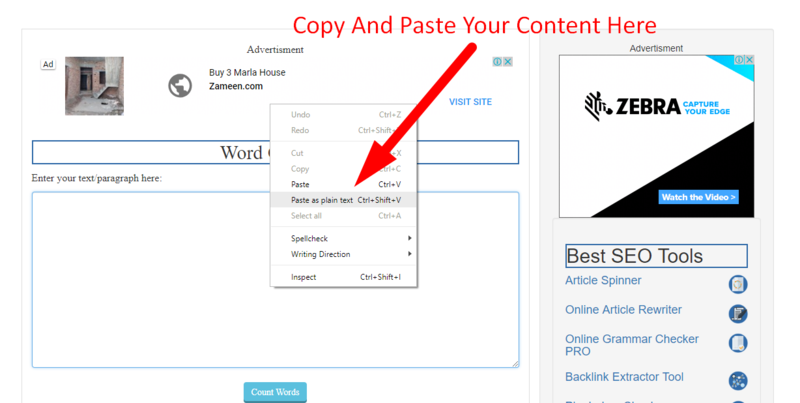 Just simply copy and paste your content and click the count words option. How to use the character count tool? 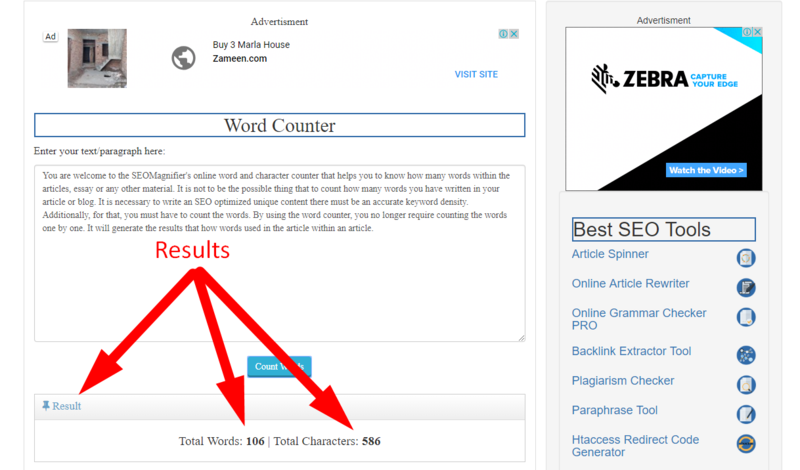 It's very simple to use the SEO Magnifier online word counter. 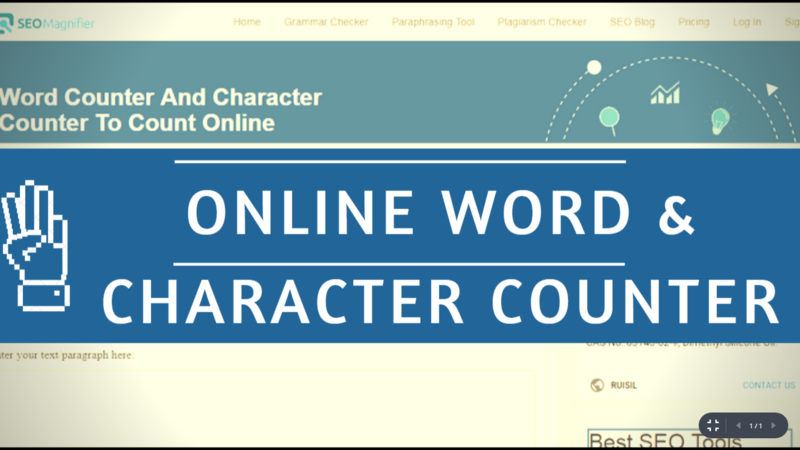 First of all go to the online word and character counter tool page. Copy and paste the text that you want to calculate the words. Click on the "count words" button to count the words. The total number of the words and characters will be shown right after you click and that's it. The leading tip to be followed while using tool is to make sure to you that exact correct content is pasted into the counter box. However, you can easily check the word count with MS-Word application. But, you need to enable some advanced options. So, the ideal thing to do is to use our automatic online free word counters. That time you need to check the characters limit or word limit of an article or line. In such a scenario, word count tool can be proving to be of great help.